When it comes to the red carpet, Jennifer Lopez's style M.O. has always remained happily consistent. 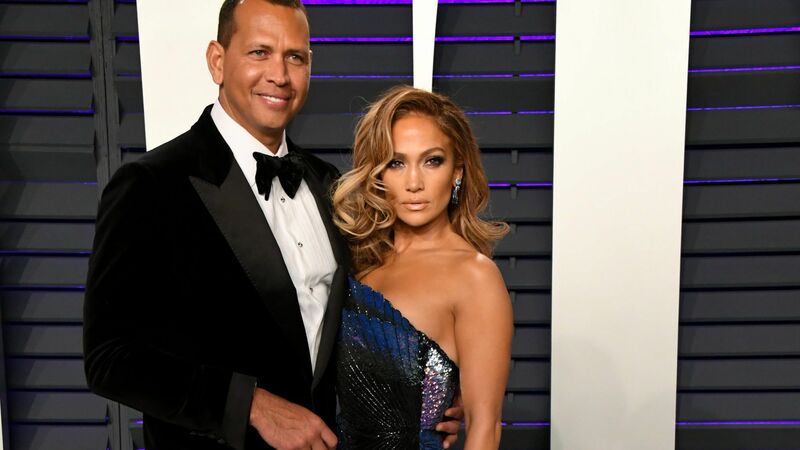 We've been able to count on J.Lo to deliver skin-tight silhouettes that hug her assets (if you know what we mean), navel-plunging necklines, and dangerously high slits. RELATED: Did Lady Gaga Take a Fashion Cue From Amal Clooney for Her Oscars Look? But that all changed at the 87th Academy Awards. Lopez eschewed her usual line-up of cut-out Versace numbers and second-skin Zuhair Murad pieces, and instead opted for a frothy cloud of tulle designed by designer Elie Saab, the couturier responsible for whipping up dreamy red carpet creations. Lopez's blush Elie Saab Haute Couture ball gown was embellished with pearls, stones, and sequins. Exquisite embroidery aside, the dress also boasted a spectacular sweeping train with enough yards of tulle to probably fashion a whole other dress. And, because this is still J.Lo, her look wouldn't be complete without a deep plunge. We guess, some things don't change after all.